Army? They're the H!P Marines! Am I hearing things or is/are the photographer(s) speaking English (fluently) towards the end (3:47 and onwards)? Tsunku just blogged about the 2nd indies single. its still being pre-released on 5/5 at the H!P Kenshuusei event. he talked about the song and each member. its has rock guitar and brass instumentals. its not being cancelled. we just don't know the general release date for it. Tsunku's comments on the members. 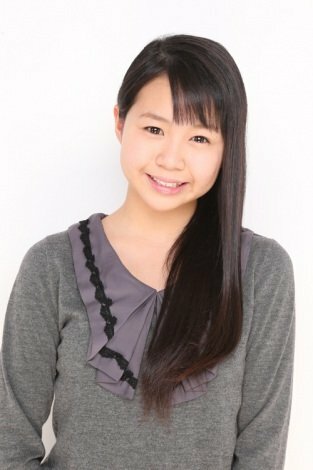 Takagi Sayuki: During her Egg days, her character and positioning were characterized by her coming and wandering about, but after a year, this "Never mind those little things and go!" sort of state seems to have unleashed her spirit and she's become very charming. Something about her is also comforting. She has strength, so look forward to seeing her from now on. Miyamoto Karin: When she was small, she would get stuck in her moods when she was feeling down, and at the time Tsunku thought, "If she's this hardened up while she's small, it's going to be rough later," but over the past year, she's unbelievably cleared that bad habit, and she's become very feminine. Because of that, she'll become a very important accent within this group. 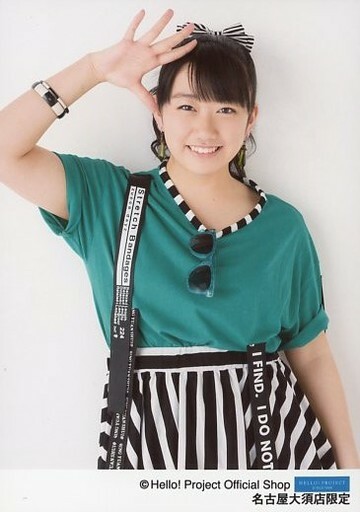 Otsuka Aina: Even though she's fair-skinned and has a pure Japanese style about her, she's actually very strong-willed and hates to lose, a very strong girl. She loves dancing and singing and gives a feeling like she's bound to advance from the start and she already has. But, she still has a lot of rough edges, like keeping the rhythm or keeping subtle facial expressions, but if she can do that, she can go to the top. Practicing the basics, you know. 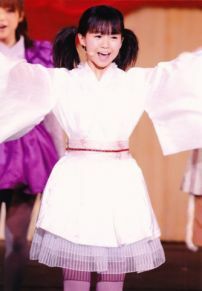 Uemura Akari: This girl is, after all, the spirit of the group. Well, she did have a knee injury at a critical time and got the flu and missed performances, but she's an interesting 'bad student.' Her face is very showy, and you can't help but notice her. No matter what she does, she will be the last member to accomplish it, but that aspect makes her development stand out and more remarkable. Look forward to her. Kanazawa Tomoko: She has an interesting voice. It's by no means a voice that goes well into the microphone, but it's noticeable. She also has a good vibrato. It really catches your ear. Everyone else thought so too, right? She has a round, friendly face. It's the sort of face that makes you think of sitting out on the porch in summer and eating cold noodles lol. 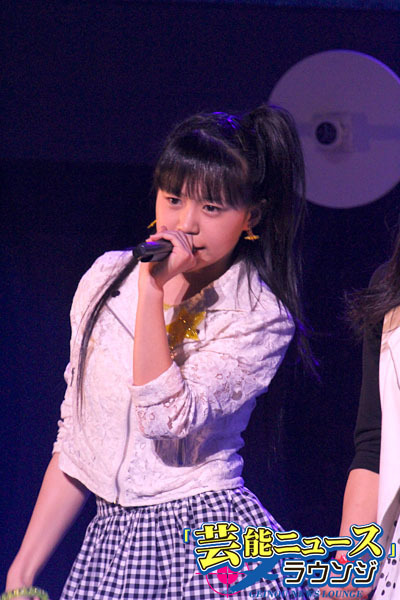 Miyazaki Yuka: She always looks troubled, but she's really not lol. Her singing and dancing still have ways to go, but she has a particular flavor about her. Also, she feigns innocence. In reality she's probably a really funny, popular girl at school, perhaps surprisingly so. It might be the big break for JJ when she stops faking her naivete. Look forward to her. He recognizes that this is a fast start for them, but they had a good debut so he went ahead and decided on a May release date. Also, samidare is a June word, relatively speaking, but it's still May, so whatever. He feels that they have some sort of invisible power about them to have such a strong debut. A rock-like song with guitar and brass section that determine the speed and feeling of the song. The song is about a girl with a strong will, starting from a point where she notices other people's looks and starts to become worried about what others think of her because she hasn't finished growing. Like she wants to people to see her with her sensitivity. 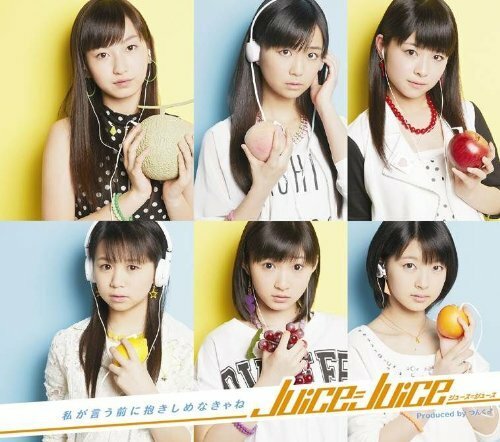 Because Juice=Juice is a group filled with determined members, the song is written with the wish that people will look out for them. 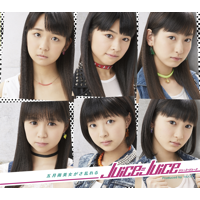 The title is a play on words, and he hopes that we will support Juice=Juice in their determination and cuteness as they grow on their path to adulthood. Lovely Sayuki reaches Sweet Sixteen!!!! Let's get out the photo album!!! In the name of Charmy, not the photo album!! egg was discovered near a wall calendar!! on such things as hairstyles!! oh look, it's an egg!! Dear Charmy what should I do? Lol i got shy with tomoko staring at my direction, i was staring at her of course cuz she my fav outta these girls, kyahaha, i wish i had thrown out a heart sign her way or sth, mang so pretty. I dunno what to do when cute girls are looking me!!!! OMG how does tomochan know?? Sayubee & Karin sounded amazing, but how does tomochan know EXACTLY what's the amount of vibrato that makes our underwears moist? So i found out about a juice juice high touch event by complete accident today and went of course haha. 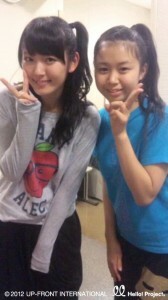 I wanna save the detailed babbleage for my report but really its amazing how quickly these girls develop an idol aura. Its like damn, gurls be shining, is this for real?! Second single available through e-Lineup! I think I like "Samidare" a bit more than their first song, possibly because of a more appealing drum beat (even though the first song's saxophone was pretty cool). And even though I still don't have a favorite member yet, I'm kinda leaning towards Tomoko thanks to her singing voice and shirenu's fangirling. Is she made of more constitution?